A monthly religious periodical serving the Baptists of Monmouthshire. The periodical's main contents were religious articles and denominational news. 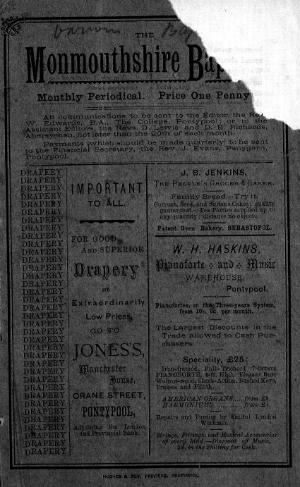 The periodical was edited by the headmaster of the Pontypool Baptist College, William Edwards (1848-1929).